81 – Valerie Davenport from USAA on Resumes, Linkedin, Getting Hired and more! On today's show we have Valerie Davenport. 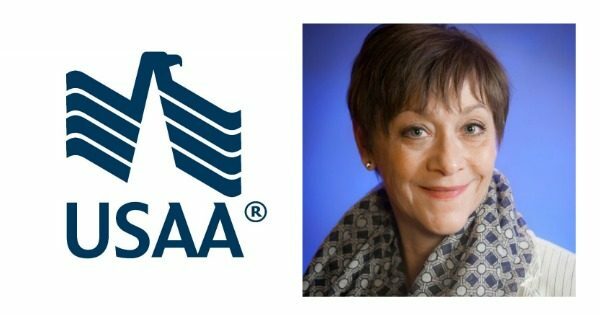 Val joined USAA in August 2013 as the Director of Talent Programs leading the sourcing and talent program efforts, including military programs. Her team enables strategic talent acquisition through competitive intelligence and development of proactive sourcing techniques for the enterprise. The team also has ownership of the Military Hiring strategy; setting the tone for the development and support of the USAA military hiring strategy and programs. Val originally hails from Grand Rapids MI, followed her AF husband around the world and lived in Europe for 12 years furthering the efforts of the DoD overseas military banking contract. She has 35+ years of international corporate experience including channel process ownership, large scale project and program management, risk and compliance, and strategic planning. Val’s passion is mentoring and coaching the next generation of servant leaders. Today Valerie and I got a chance to talk about some of the tools and resources that USAA has to offer to help the current military members, transitioning soldiers, their spouses and much more. We get into writing resumes, translating your military skills and how to write a resume that is targeted towards the position you are applying for. We talk about the application process and how it has changed over the years with new technologies and what that means to us when we are waiting to hear back about our applications. We also get into LinkedIn and how you utilize that not just as a online resume but how to actually get out there and get seen. What are the Barriers that are in your way ?